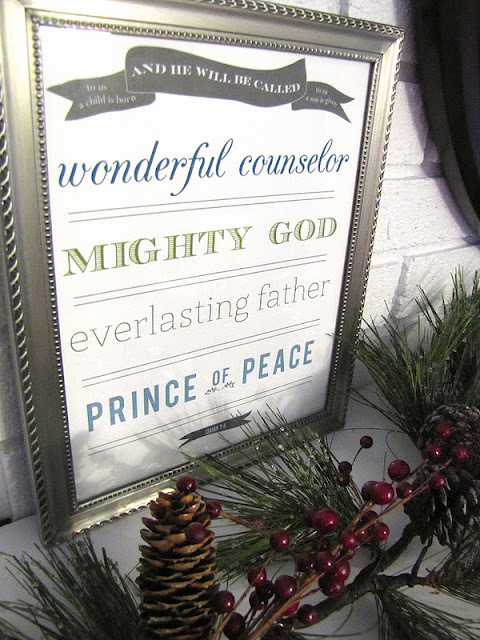 I'm almost done with my Christmas decorating and thought I'd share with you a free printable I found and am using this year. Don't you just love Pinterest and all the free printables at your fingertips?! I'll be sharing more of the decorations and craft projects I've been working on soon. If you would like this printable you can get it in red HERE or in the blue/green colors HERE. Happy decorating! I'm off to finish my sewing orders for this week!